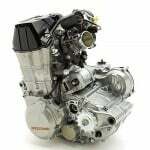 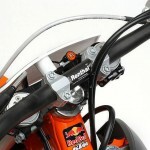 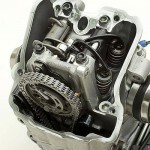 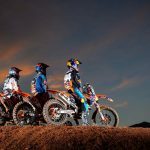 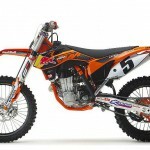 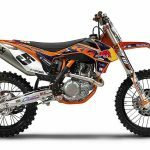 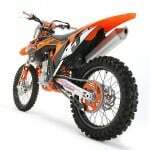 Days before the start of the 2012 AMA Supercross season and Ryan Dungey’s debut on the 450 SX-F, KTM has unveiled the production version of the motocrosser featuring a new engine and chassis. 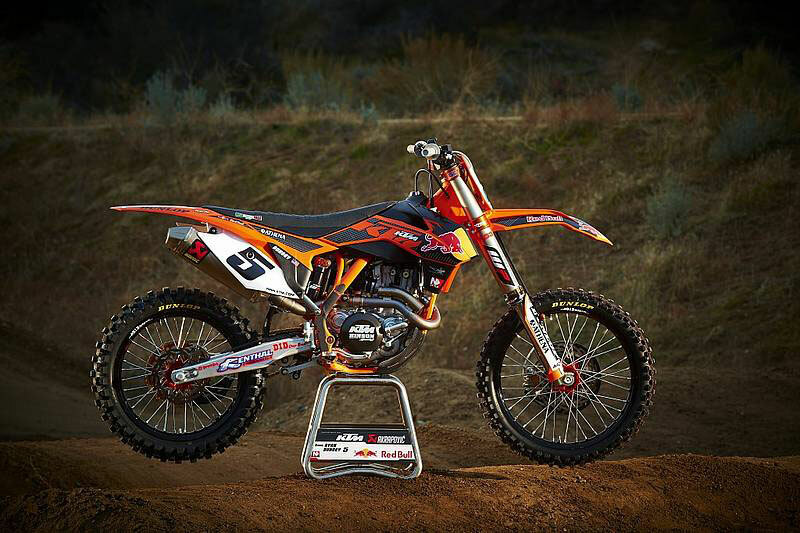 The 2012 KTM 450 SX-F Factory Edition is equipped with a fuel-injected 449cc four-stroke engine paired with a five-speed transmission. 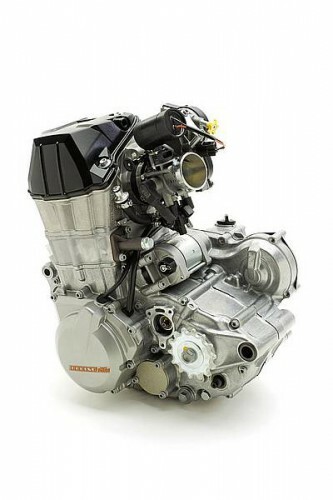 The new engine has a 95mm bore and a 63.4mm stroke, compared to the previous version’s 97mm x 60.8mm engine. 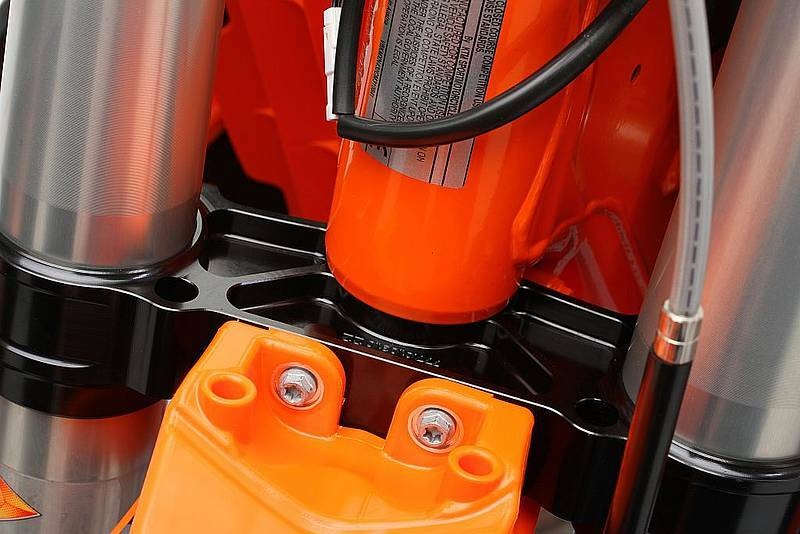 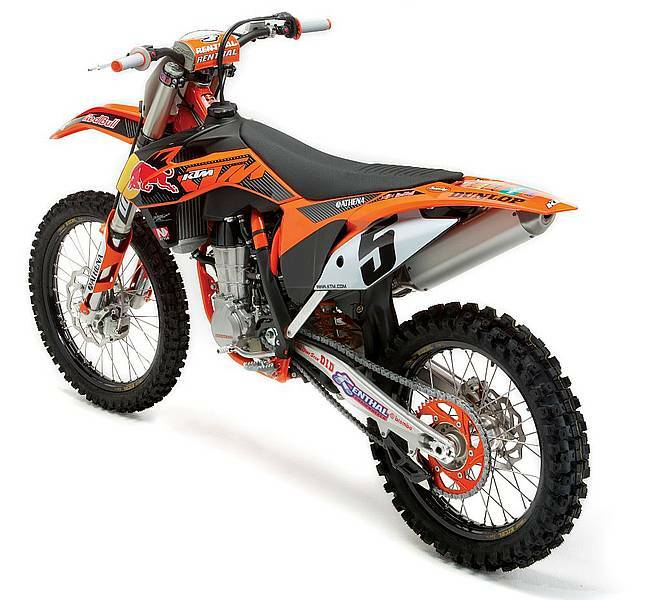 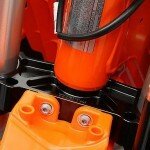 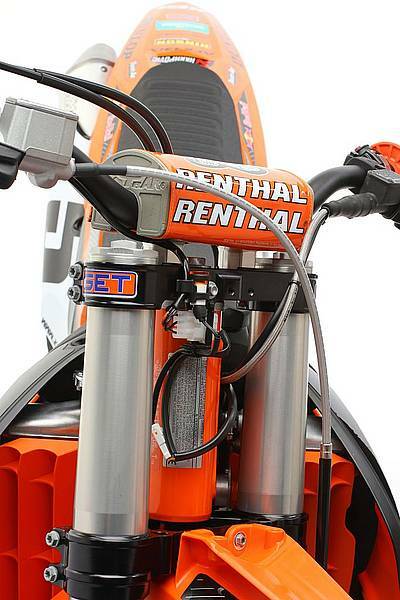 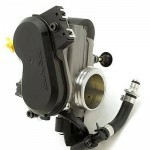 KTM used new die cast engine cases and lighter parts, claiming 4.4 pounds in weight savings. 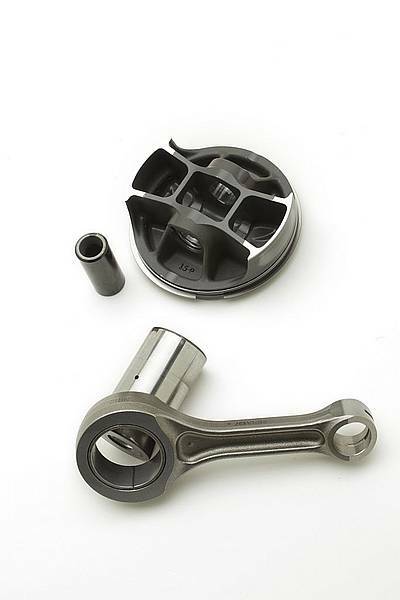 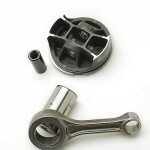 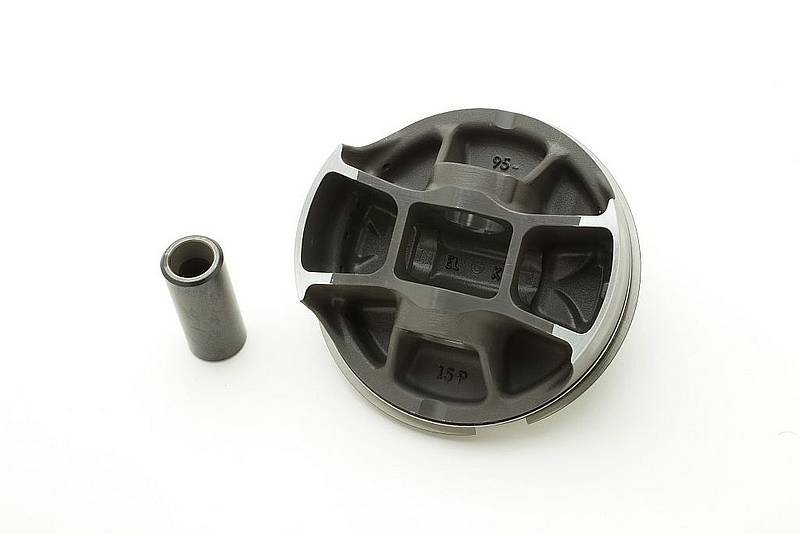 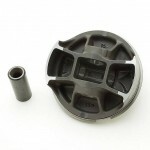 The new box-in-box design piston has a 12.6:1 compression ratio with a new compression ring and oil scraper ring while the crankshaft and Pankl plain bearing connecting rods are also new. 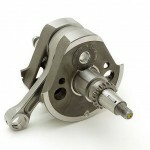 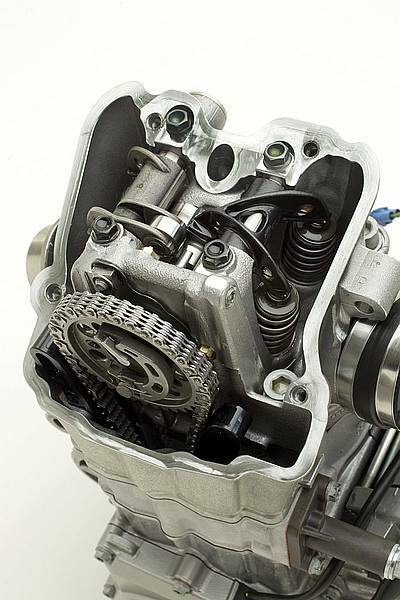 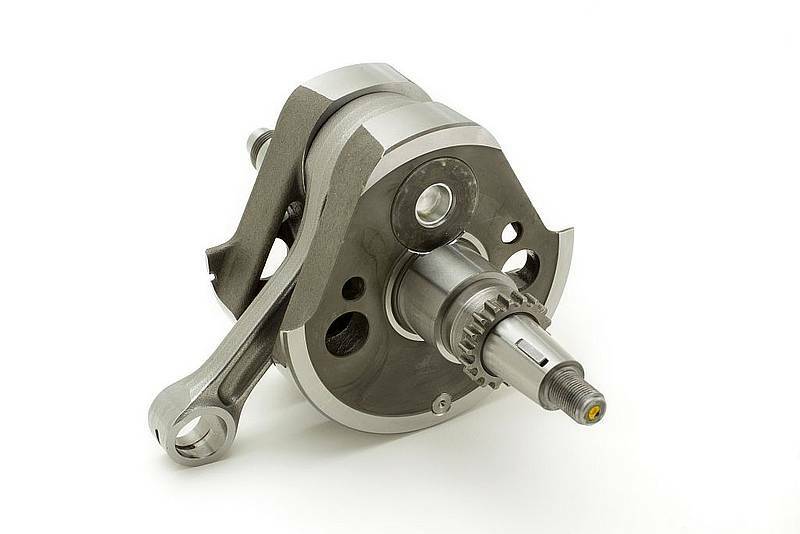 The newly-designed cam valve train uses light-weight rocker arms and four titanium valve. 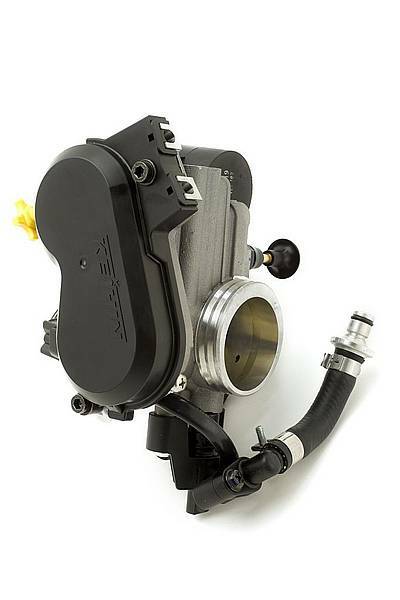 Also new are 44mm Keihin throttle bodies with tapered bores and a repositioned fuel injector. KTM is also including a user setting tool from its Powerparts catalog to allow data logging and adjustment of injection and ignition settings. 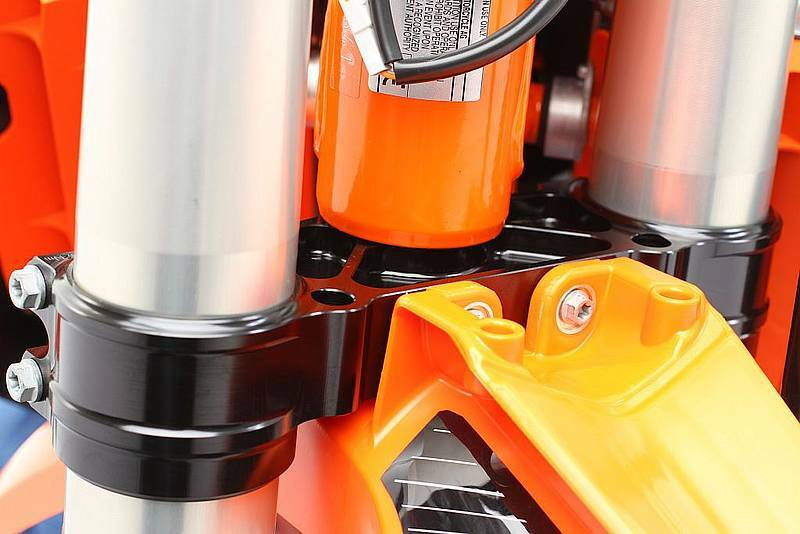 The chassis is also new, featuring an orange powder coated frame and black anodized triple clamp. 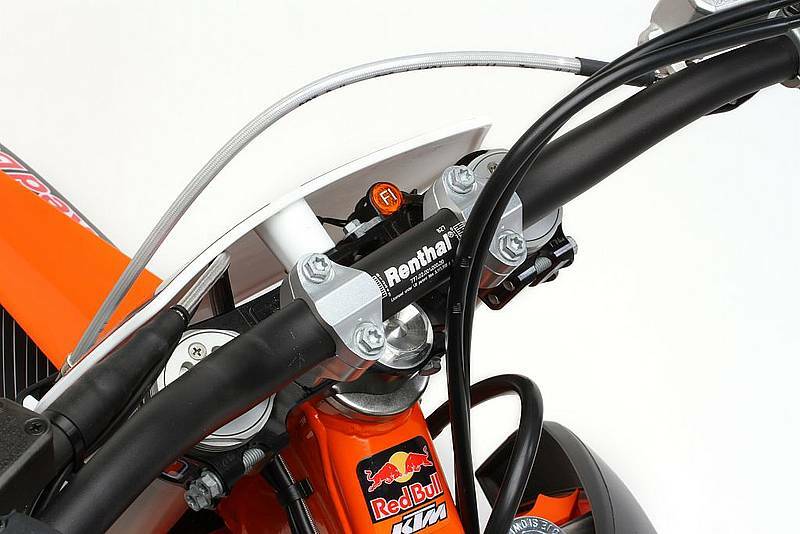 The one-piece cast swingarm is all new, as is the 25mm rear axle, 5mm larger than the previous version. 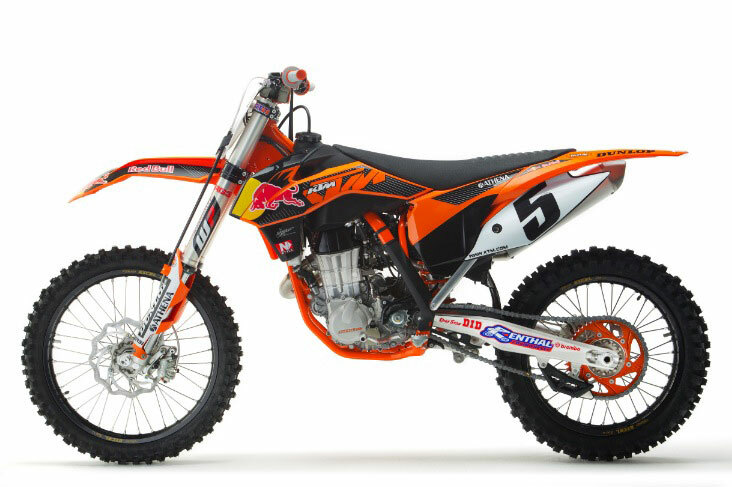 Other features include a new fuel tank design, black anodized Renthal fat handlebar, black Excel rims with machined hubs, orange anodized rear sprocket and Dungey’s #5 Red Bull KTM Factory SX graphics. 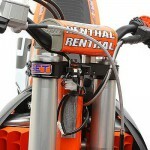 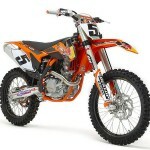 The 2012 KTM 450 SX-F Factory Edition will be available in showrooms in the spring with a $9,599 price tag. 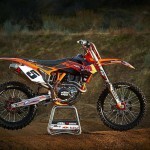 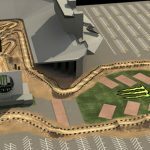 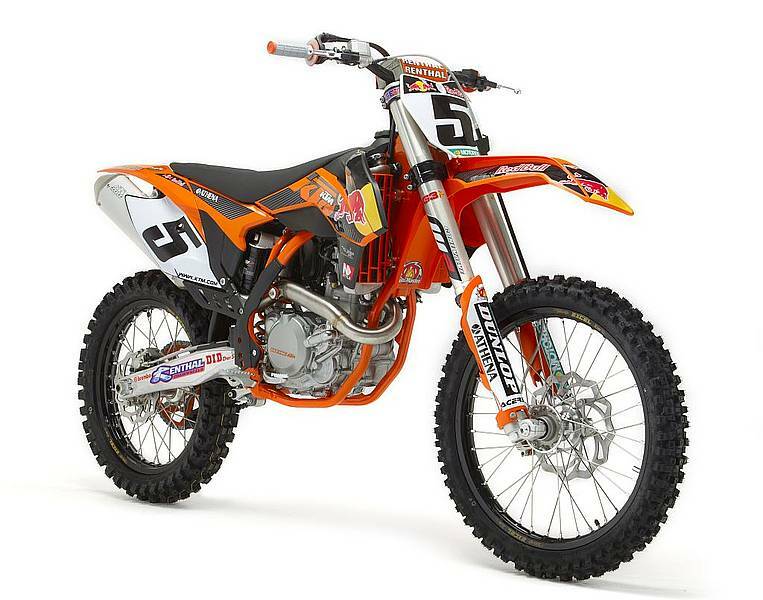 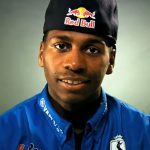 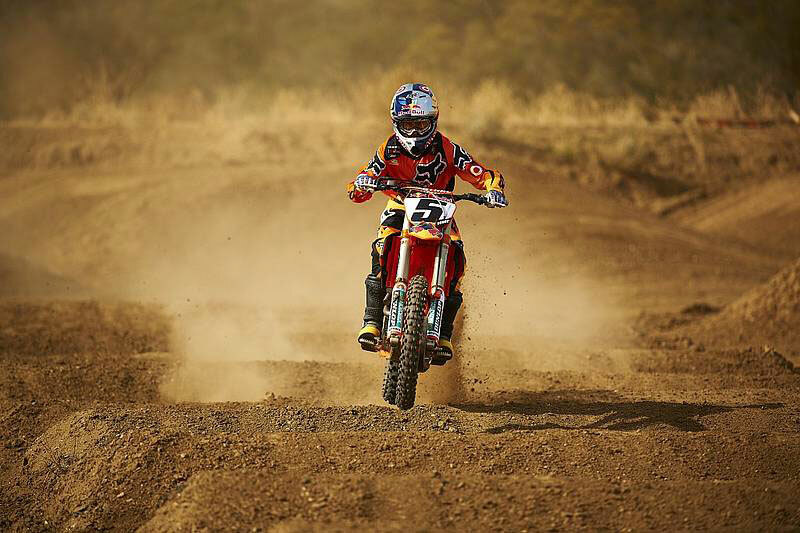 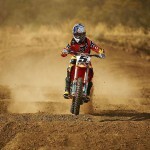 Meanwhile, Dungey and the actual factory race bike will be in action Jan. 7 at the 2012 AMA Supercross season opener in Anaheim, Calif.